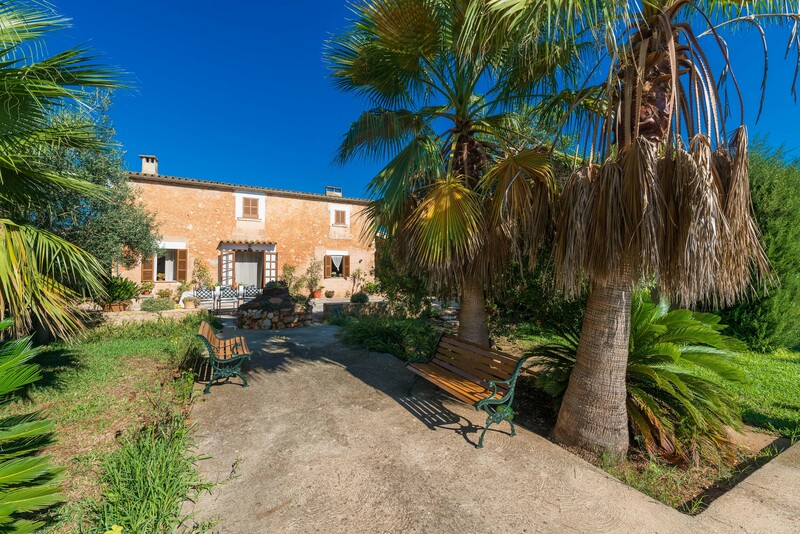 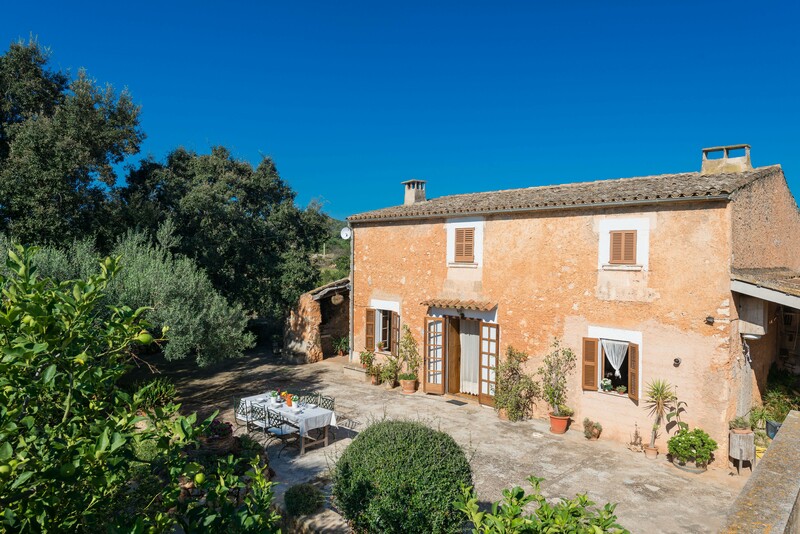 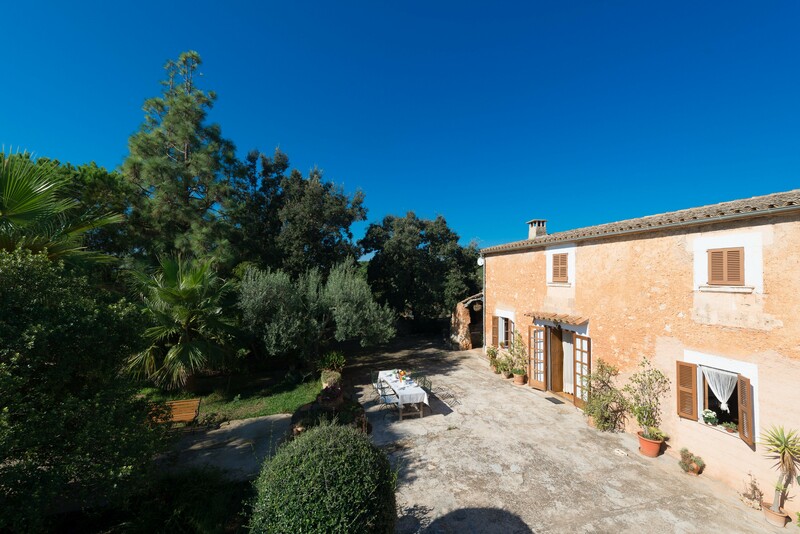 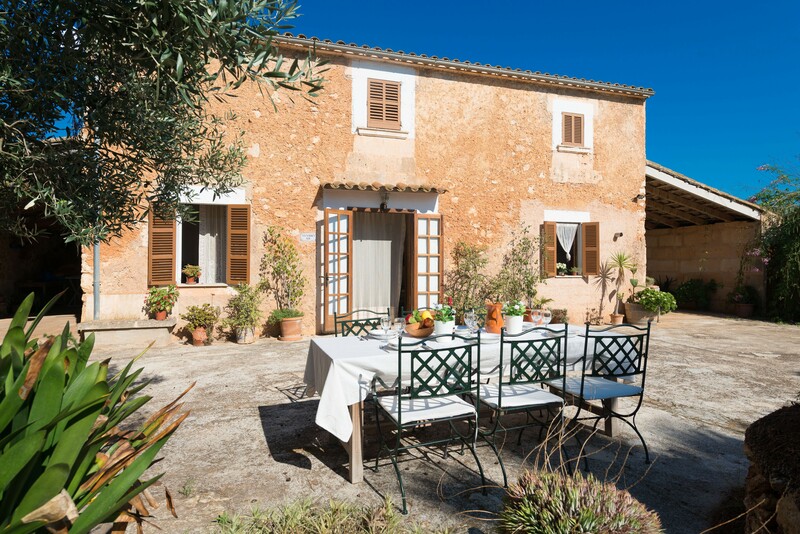 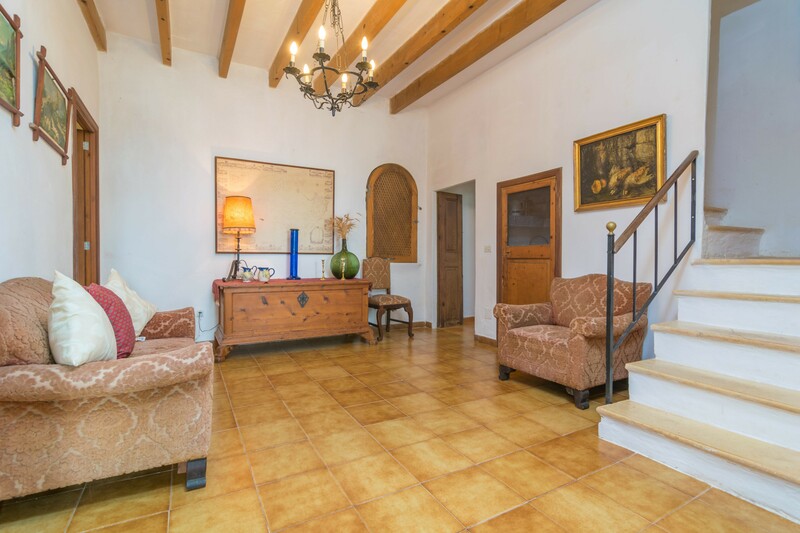 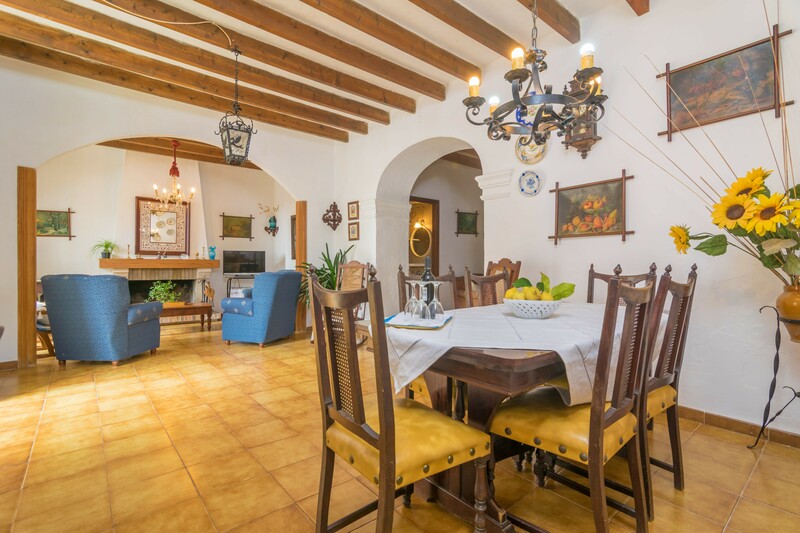 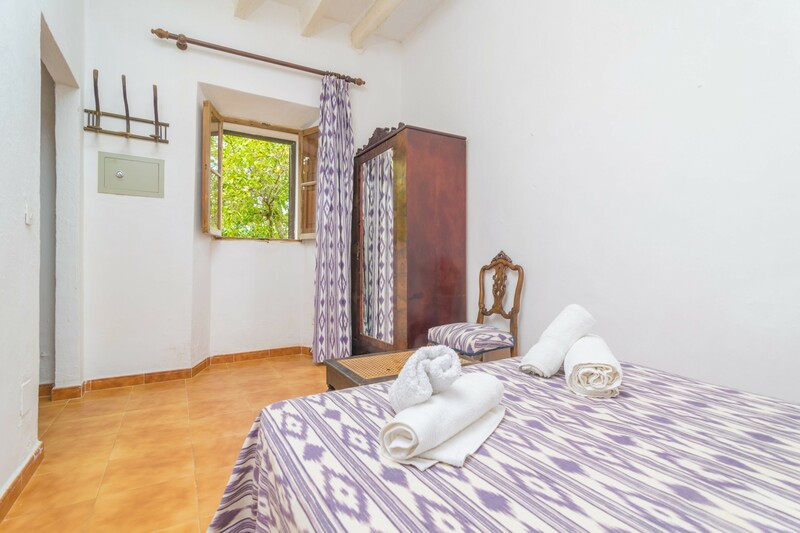 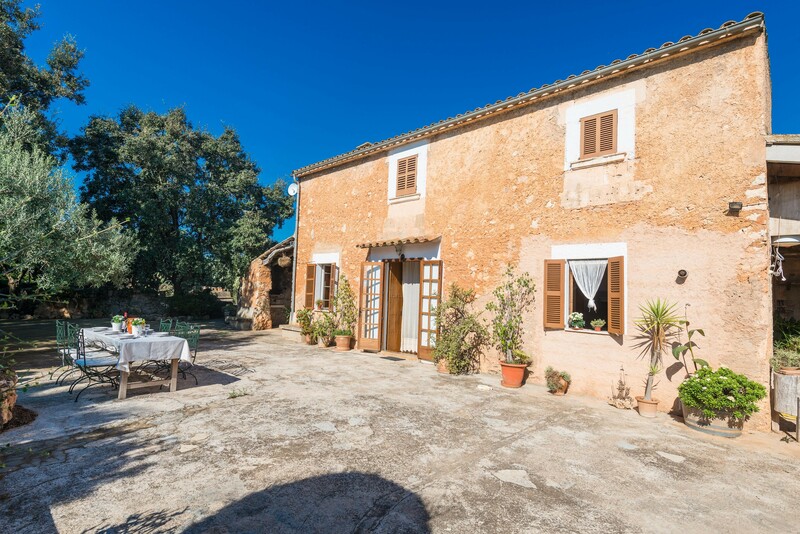 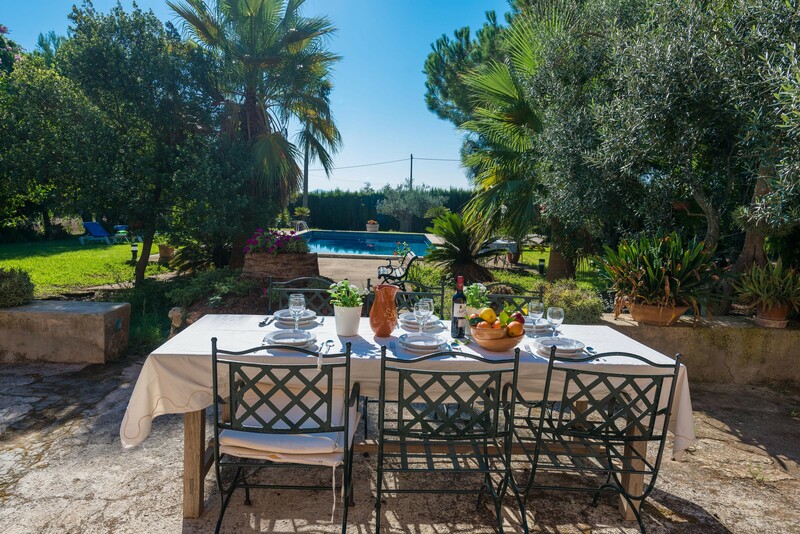 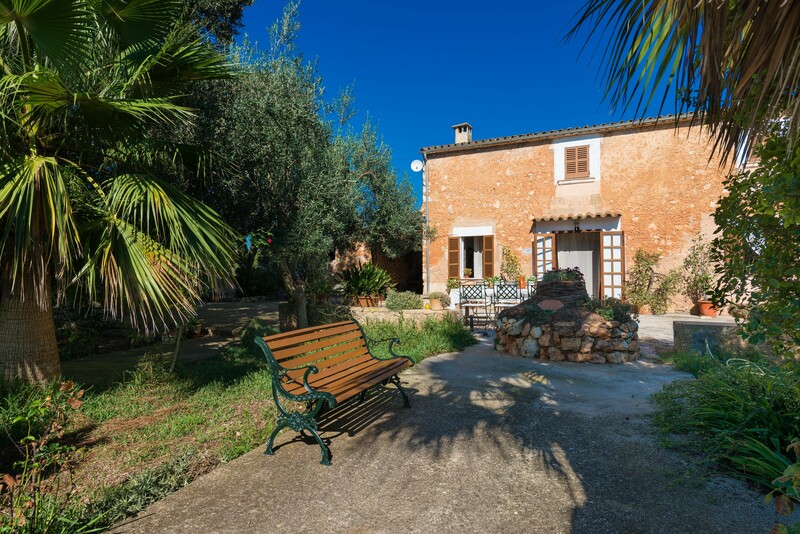 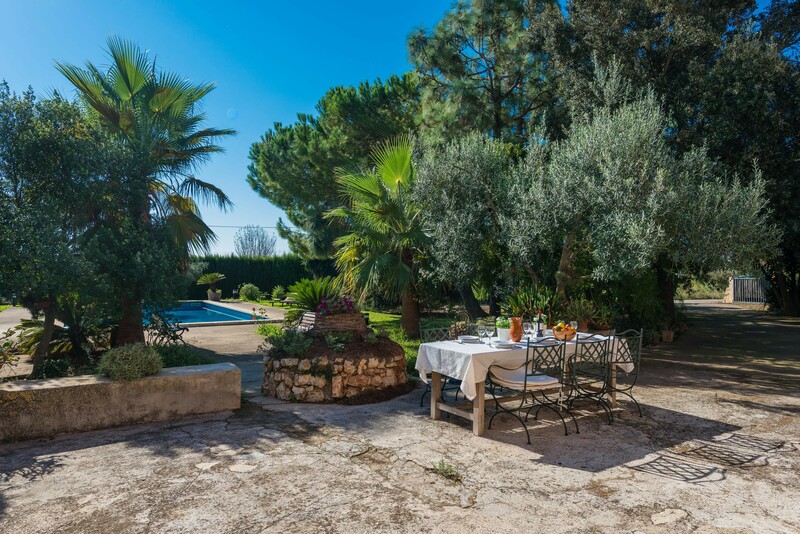 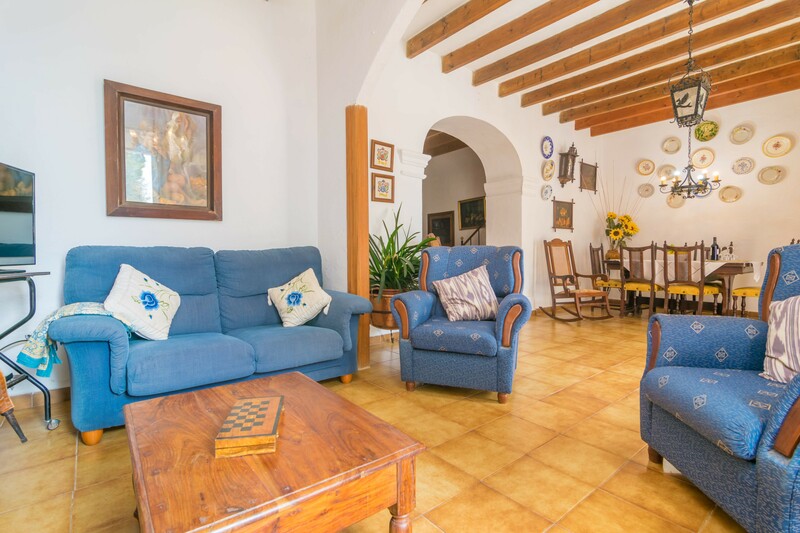 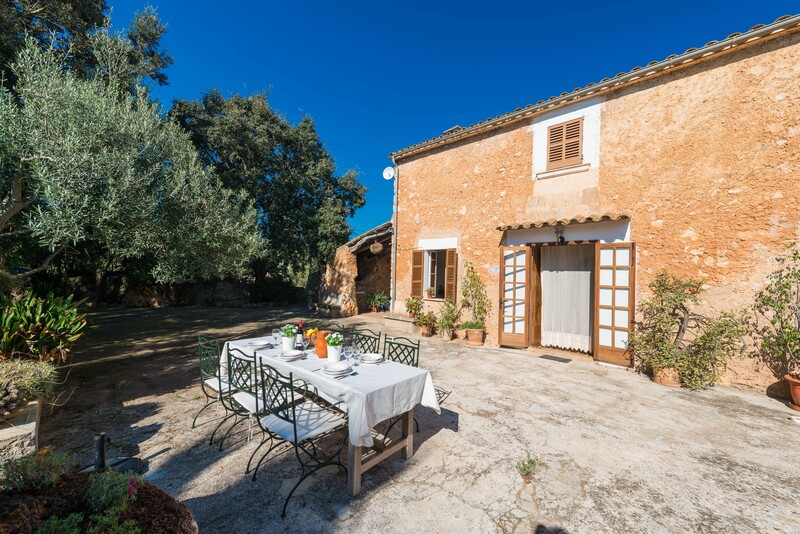 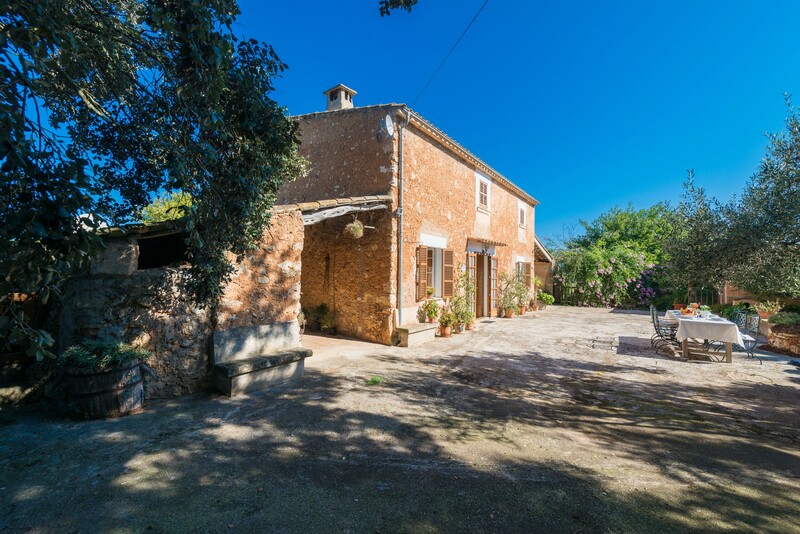 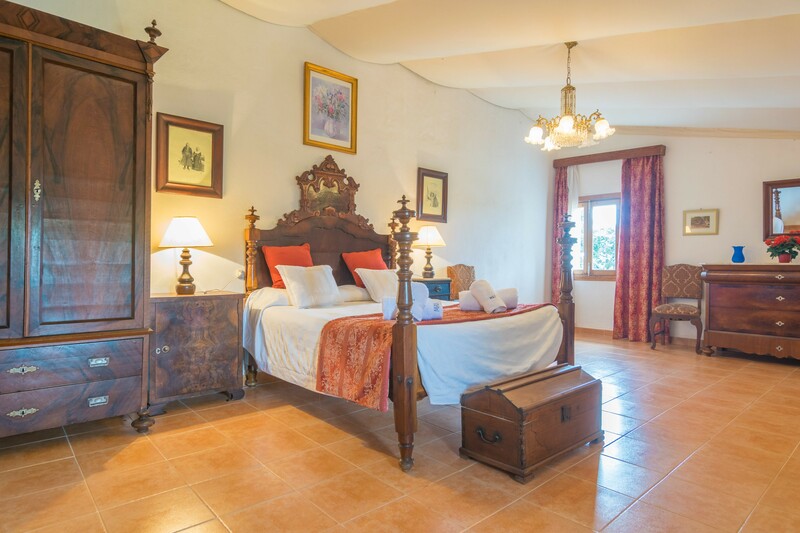 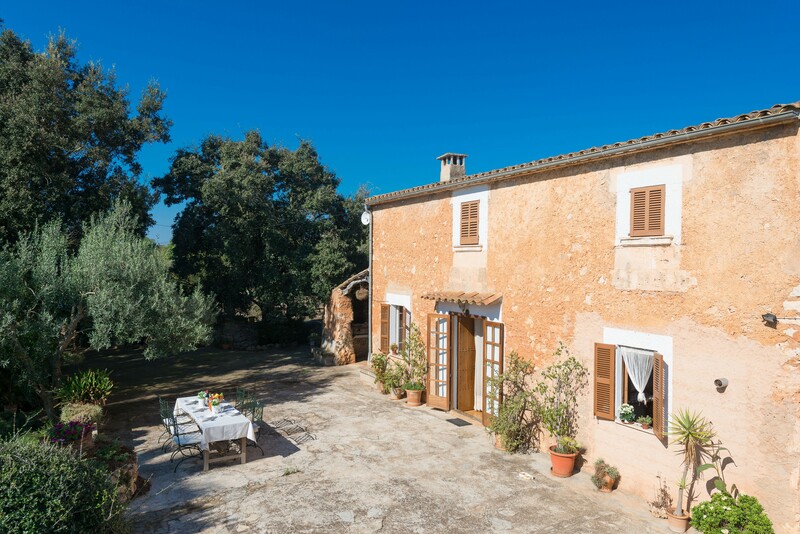 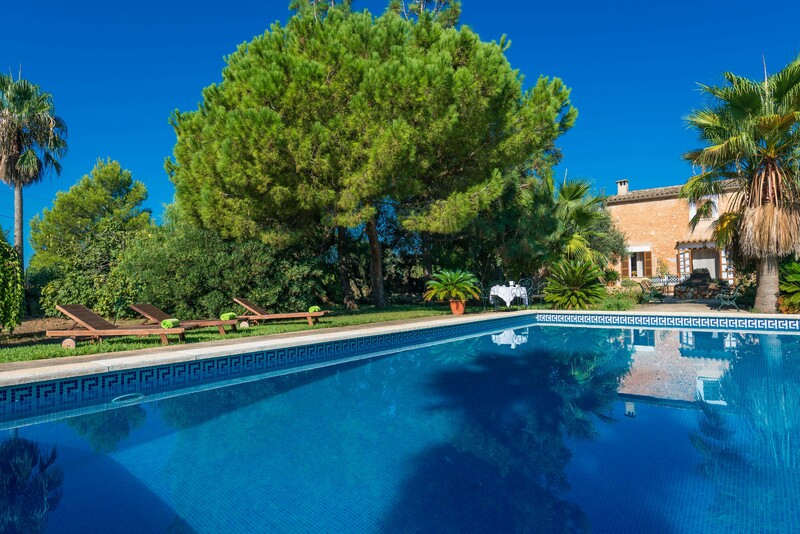 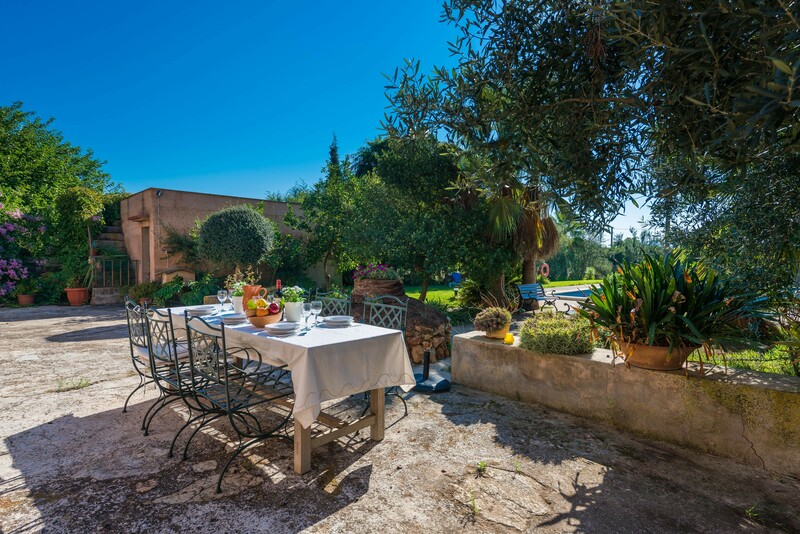 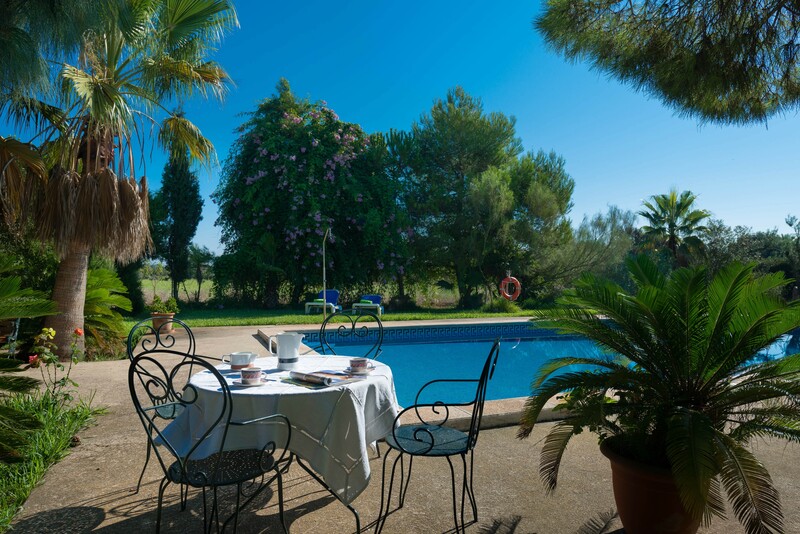 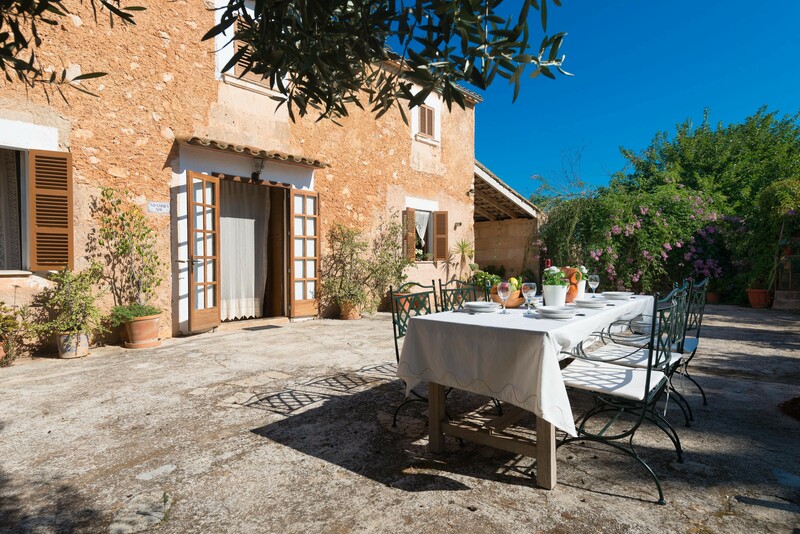 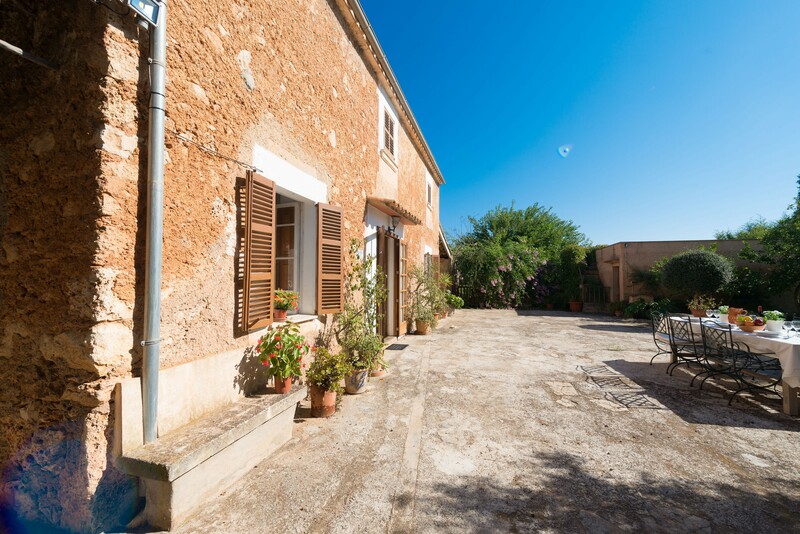 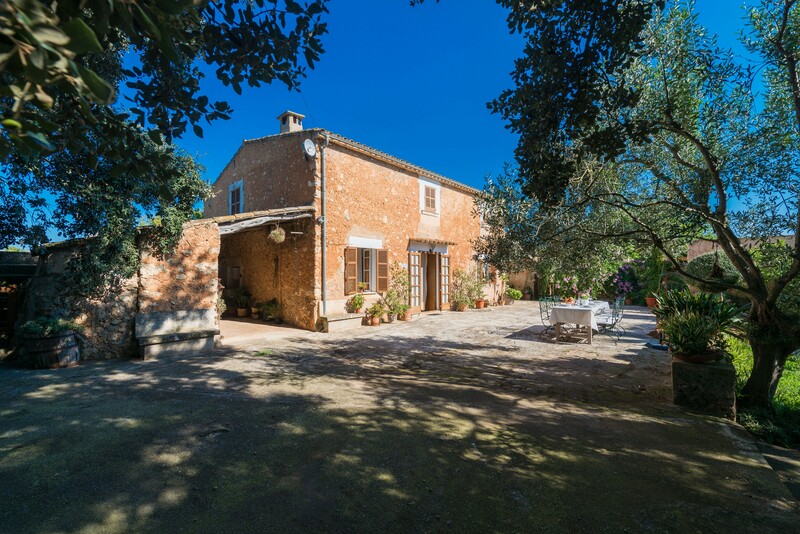 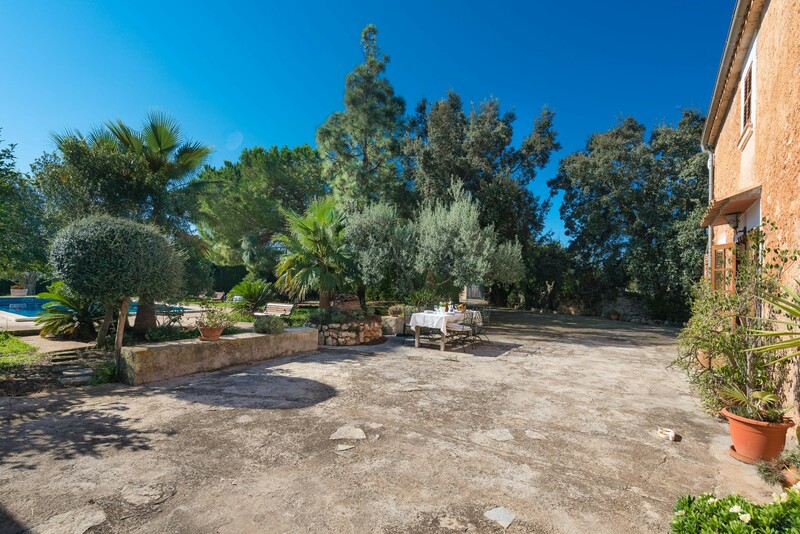 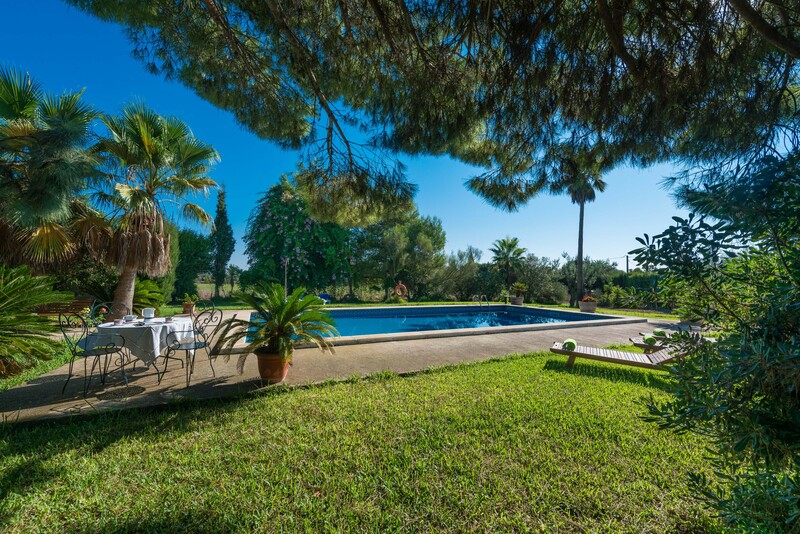 Preserving the traditional Mallorcan rustic spirit, this beautiful and senzill finca with private pool welcomes 6 people in Porreres. 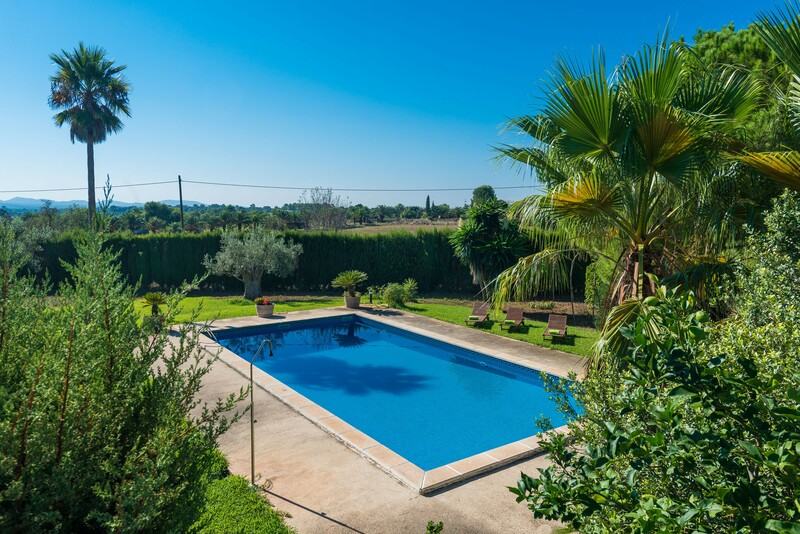 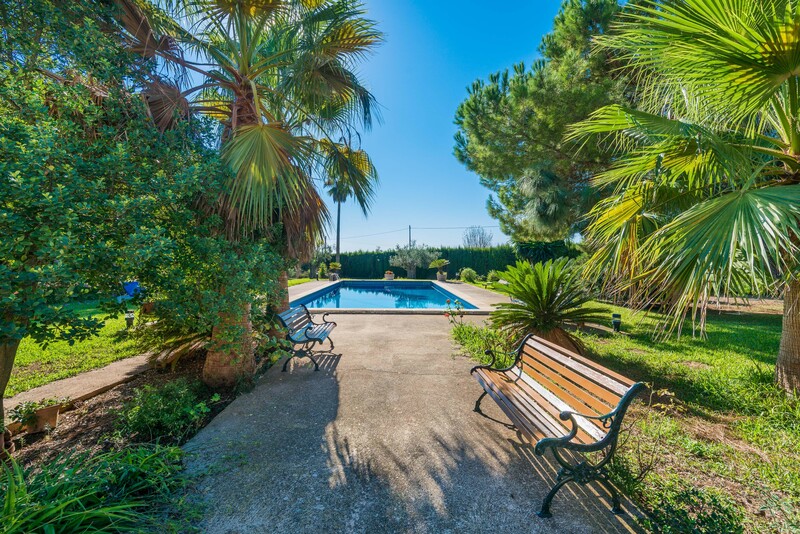 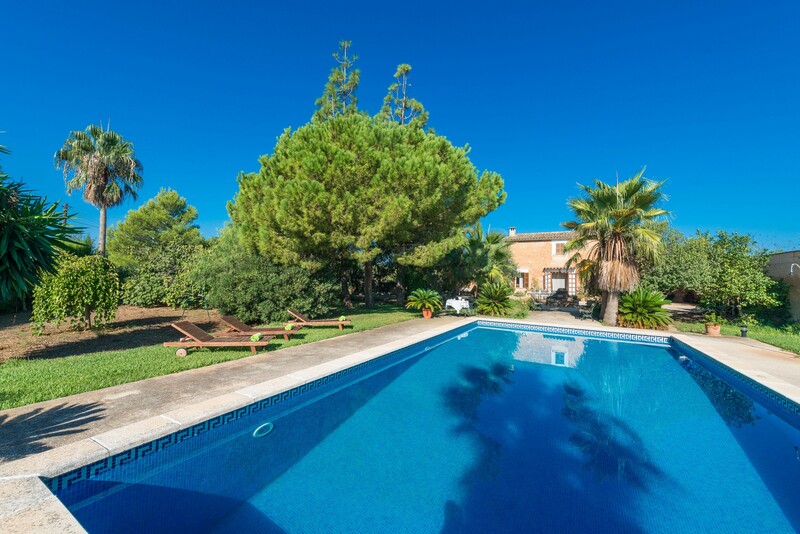 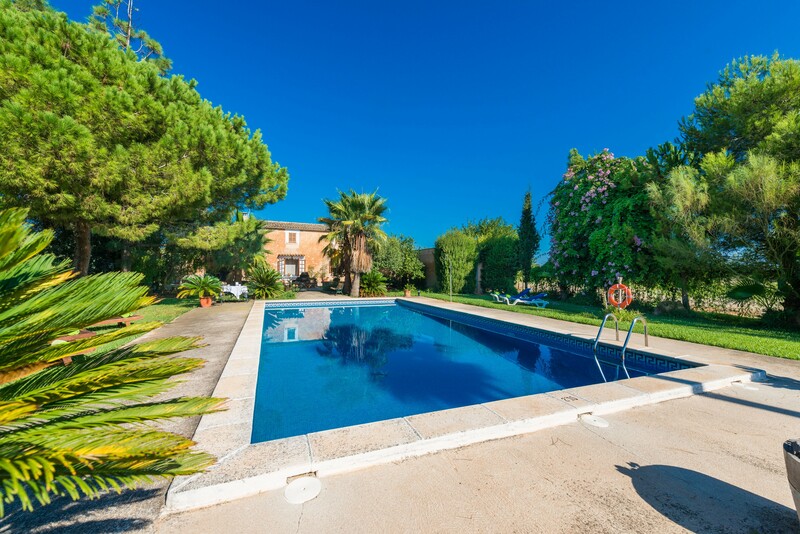 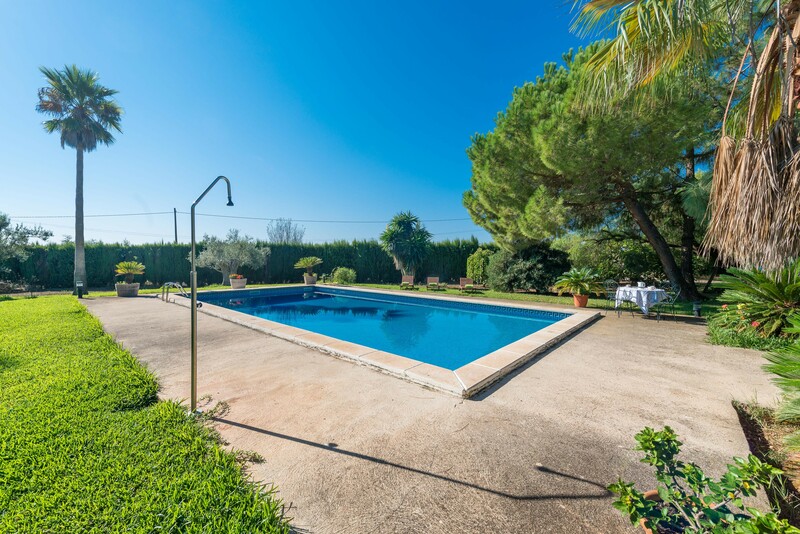 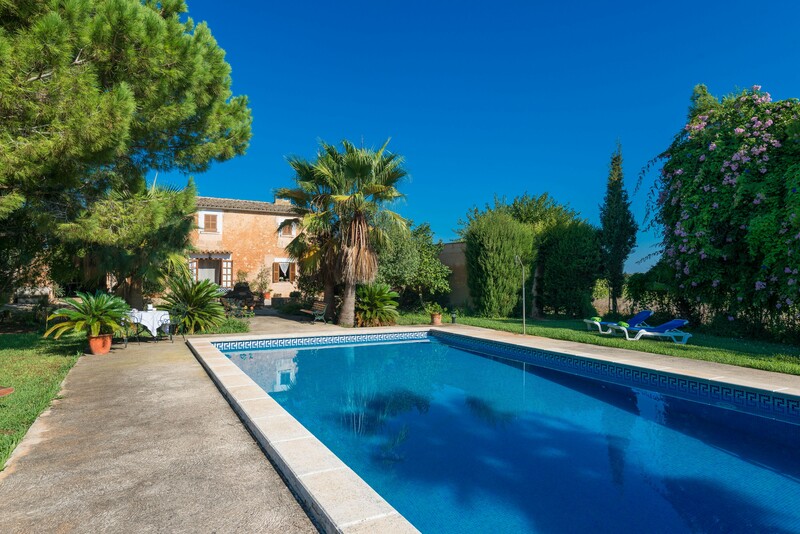 This typical Mallorcan two-storey house offers a private chlorine pool sizing 12 x 6 metres that has a depth ranging between 0.75 and 2.15 metres. 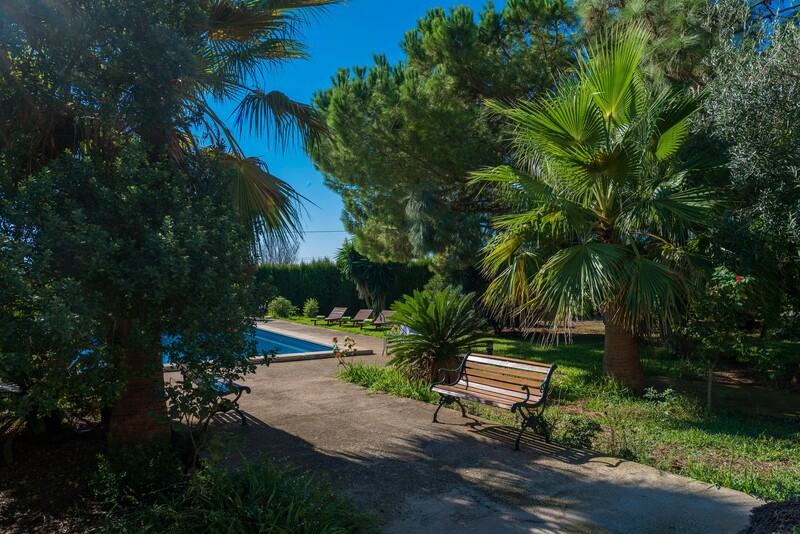 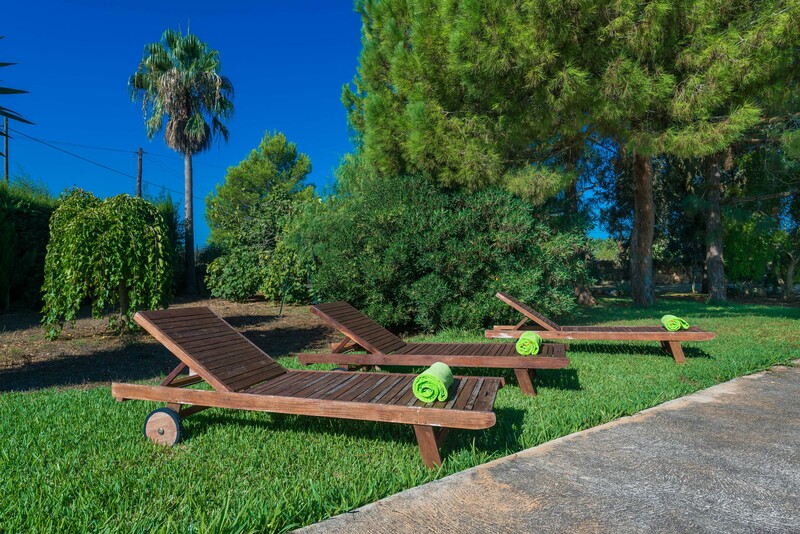 The lawn area around the pool is perfect to spread the towel and sunbathe or simply to have fun with the family little ones. 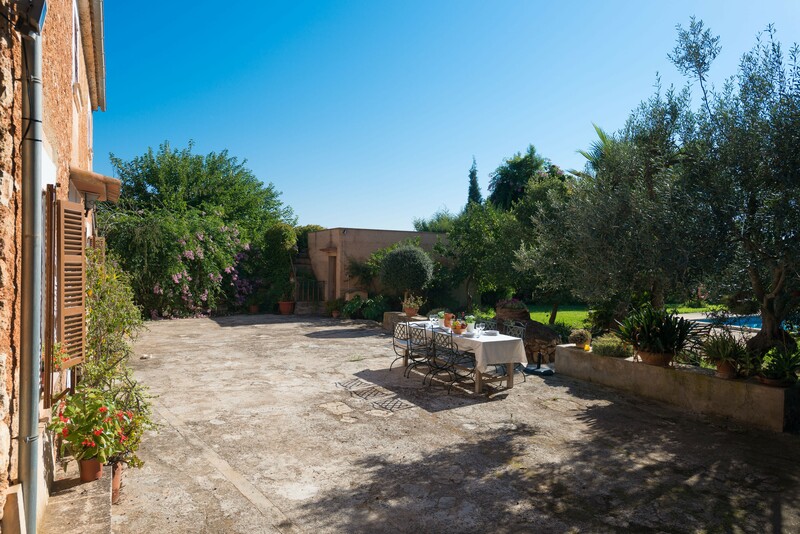 Maybe, you feel like having a walk throughout the property which is is full of trees and plants and even some free hens making their way. 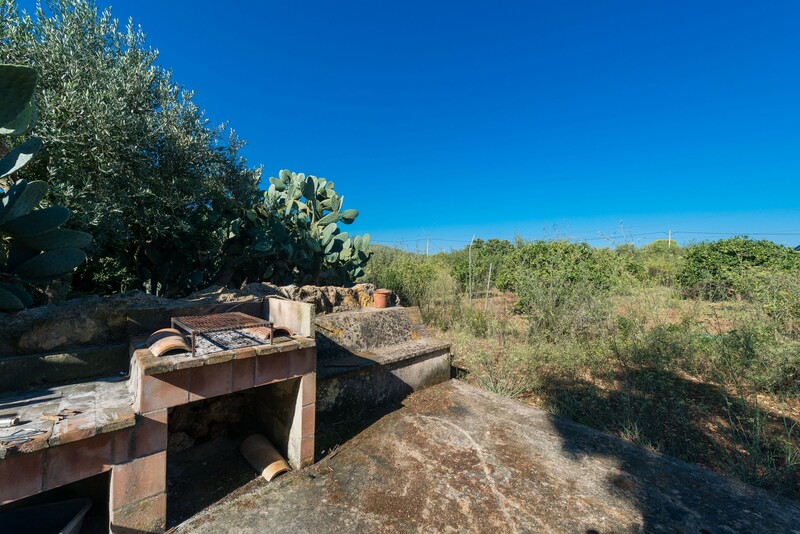 A stoned and furnished terrace and the barbecue are perfect for those who love cooking. 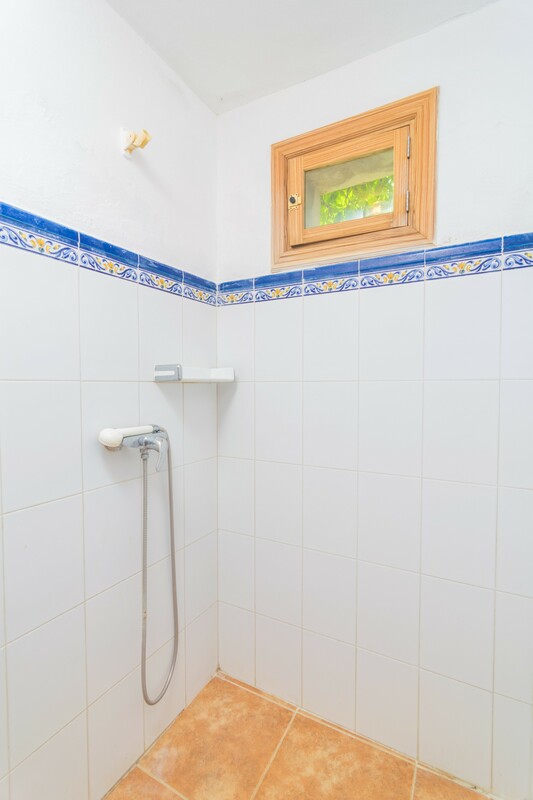 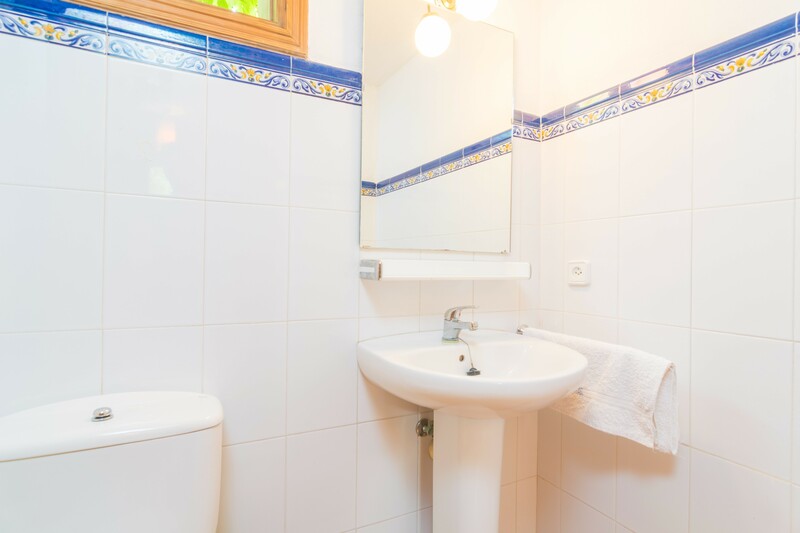 You will also find a shower bathroom outside the building for your major comfort. 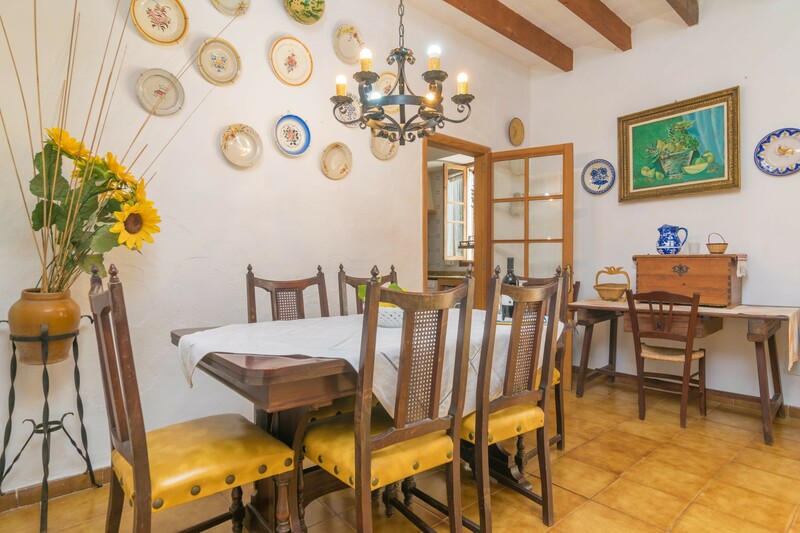 When you enter the main floor of the house, a cosy living dining room is waiting for you. 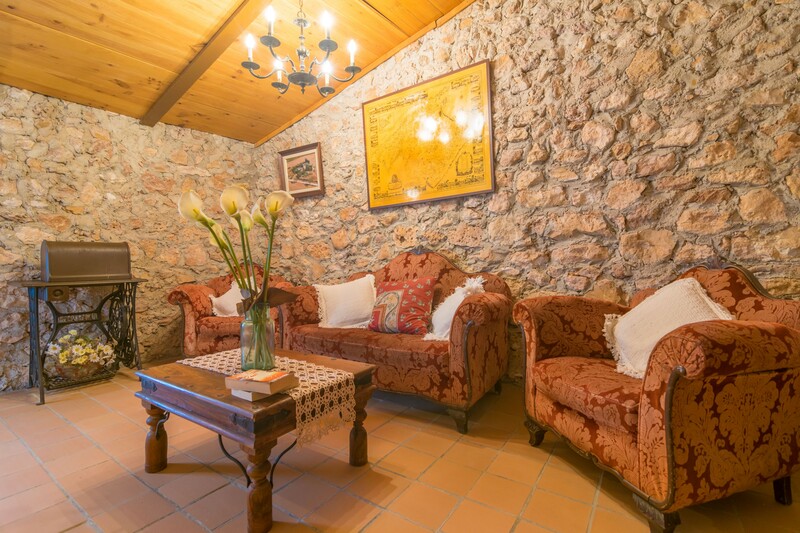 Here you can watch satellite TV or just relax on the sofa. 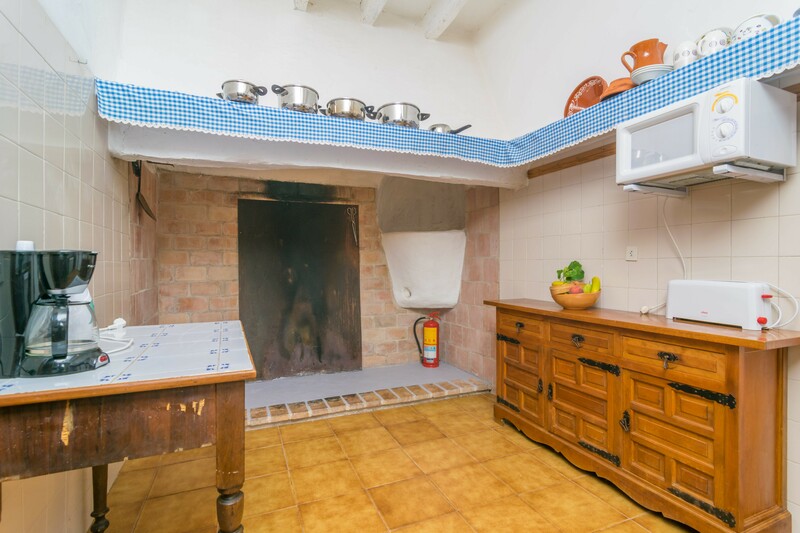 Then, you find the independent kitchen that offers a gas top and all the kitchen cutlery to cook delicious dishes. 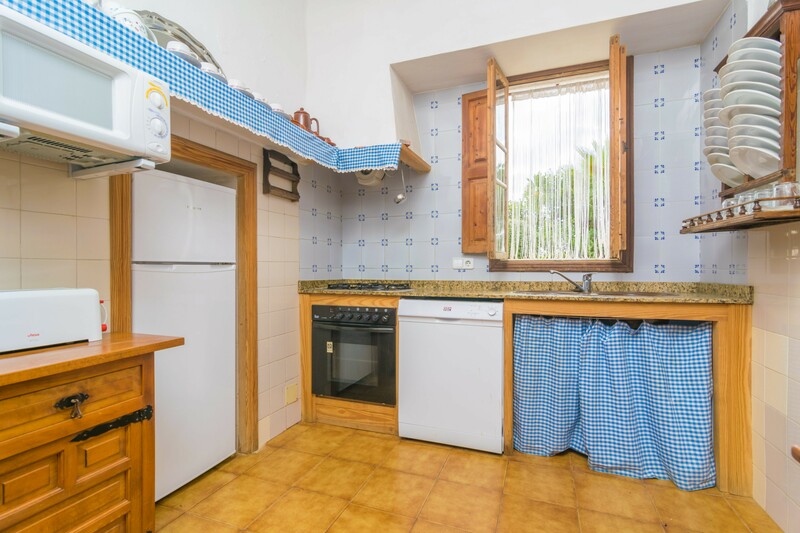 Of course, there is a washing machine, an iron and an ironing board. 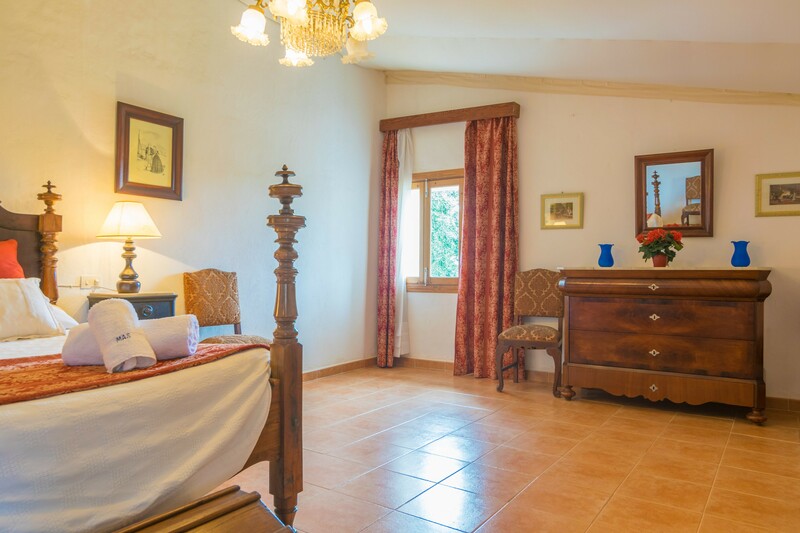 The same floor offers two bedrooms, one with two twin beds and the other has a double bed. 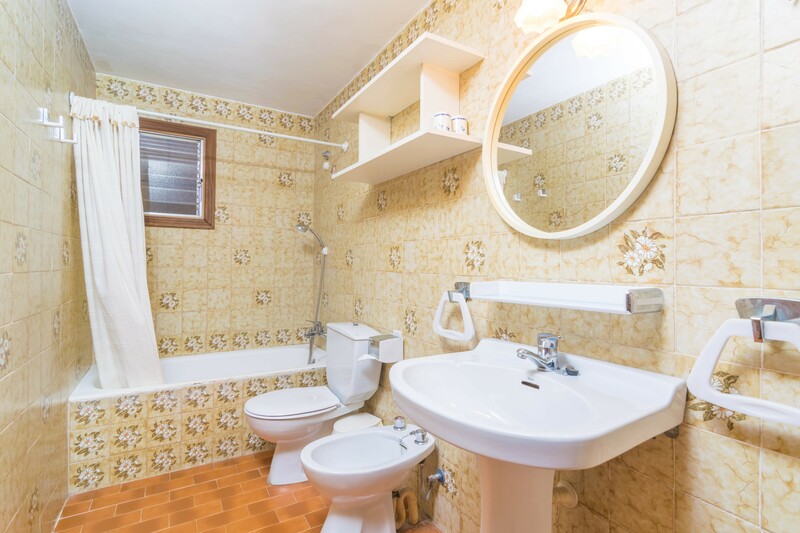 There is also a bathtub bathroom. 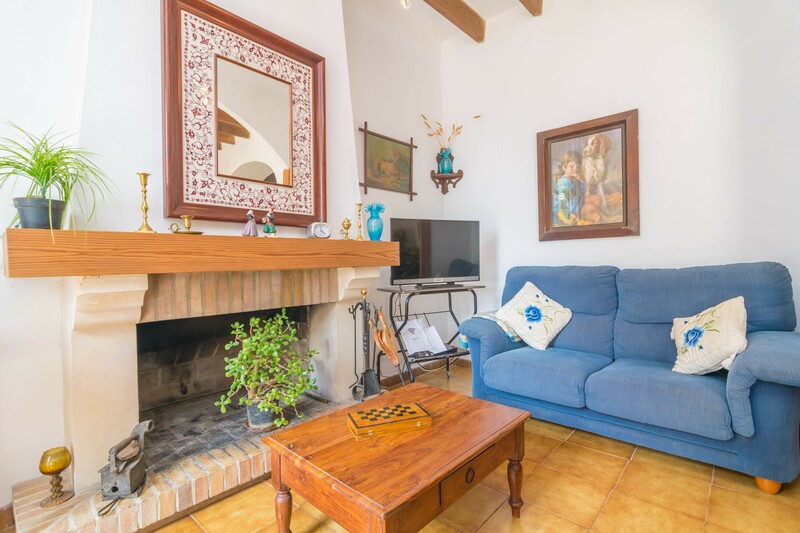 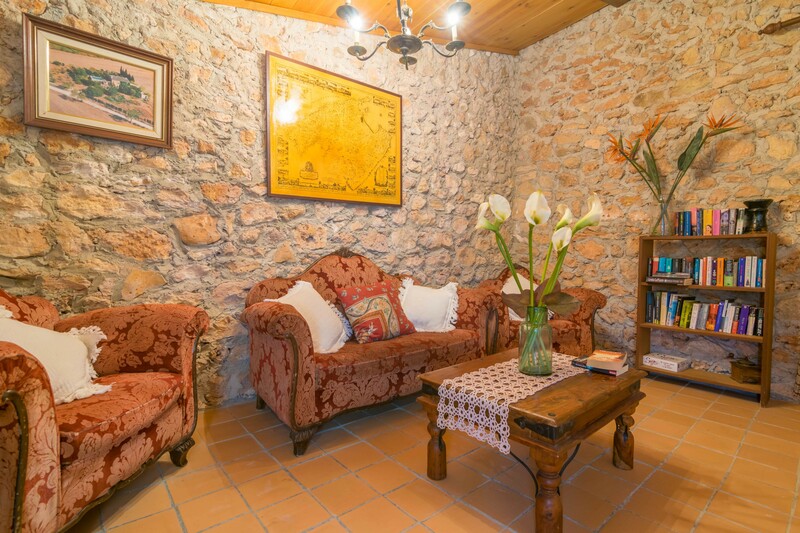 On the top floor we find a second living room with a sofa and two armchairs, the perfect corner to sit ans enjoy a reading. 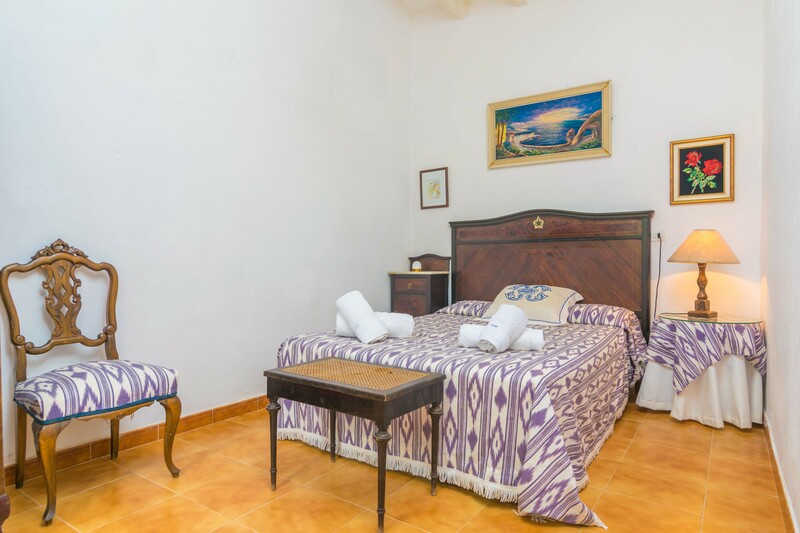 In addition, we fins a third bedroom with a double bed. 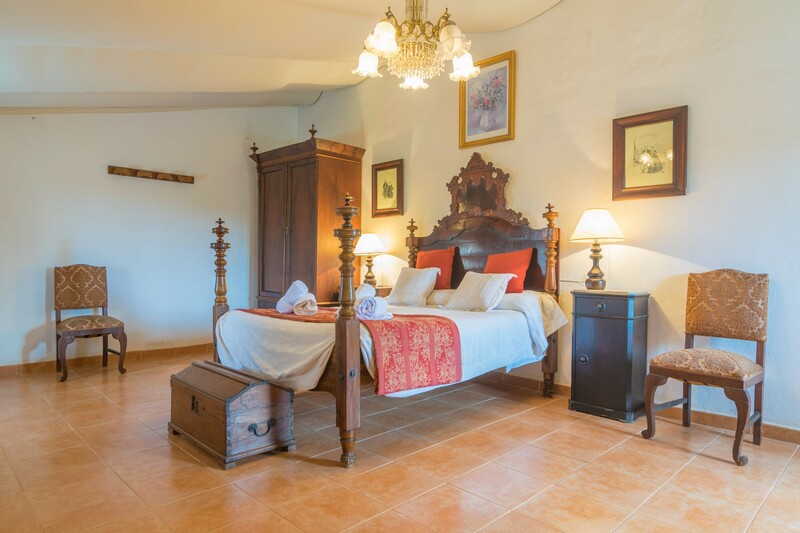 We can prepare a cot and a high chair for the little guest. 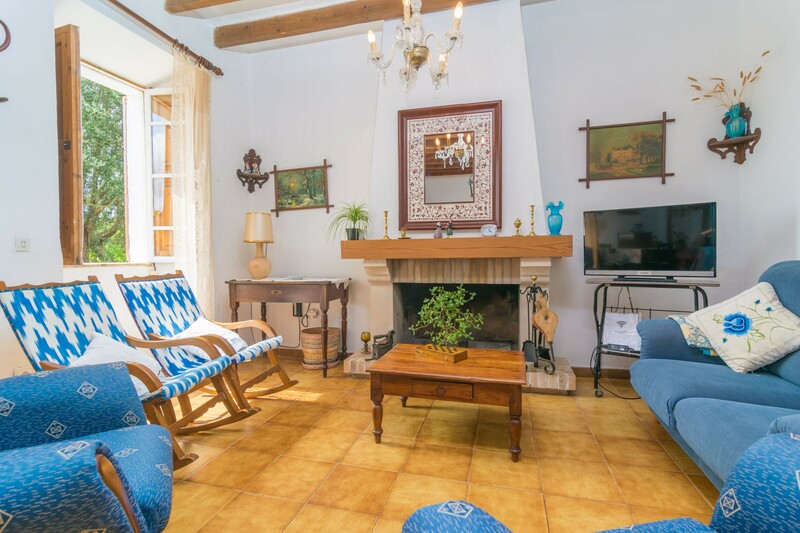 Two fans and two radiators complete the equipment. 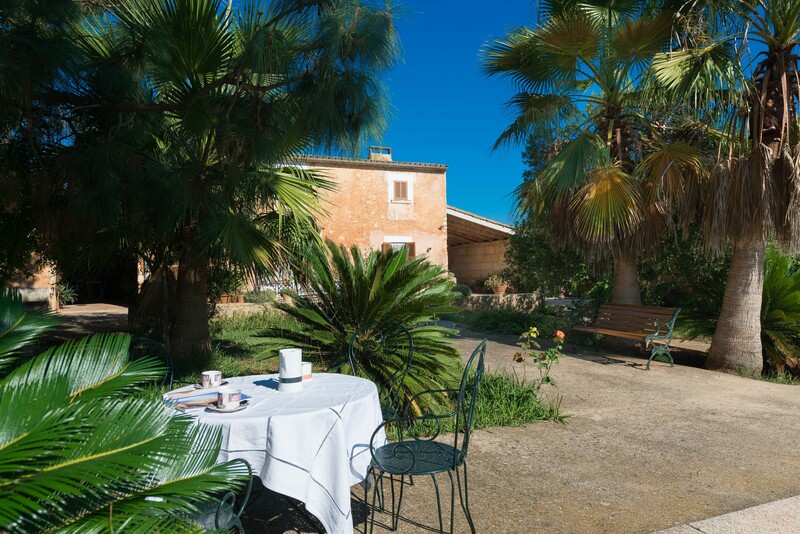 In the area of Porreres there is a great variety of bars and restaurants, offering typical Mallorcan cuisine. 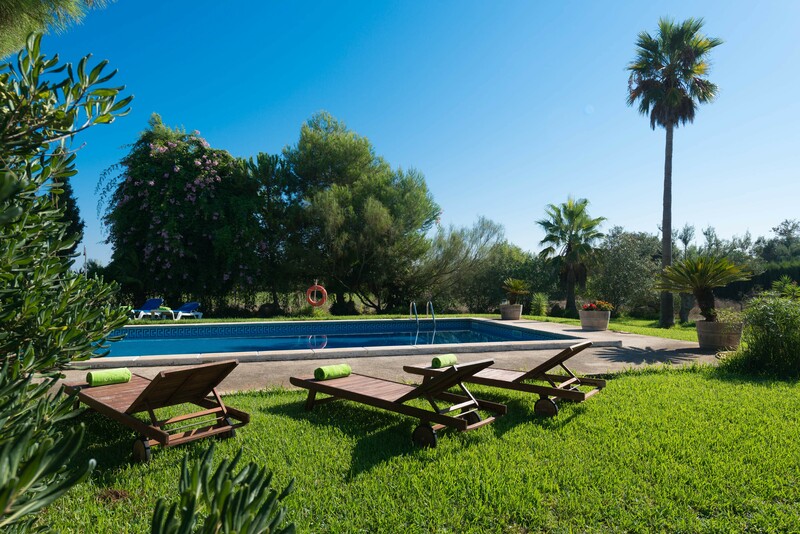 Do not hesitate to go visit the Ses Covetes and Sa Ràpita, two wonderful beaches of fine sand, and enjoy to admire the sunset with a delicious cocktail. 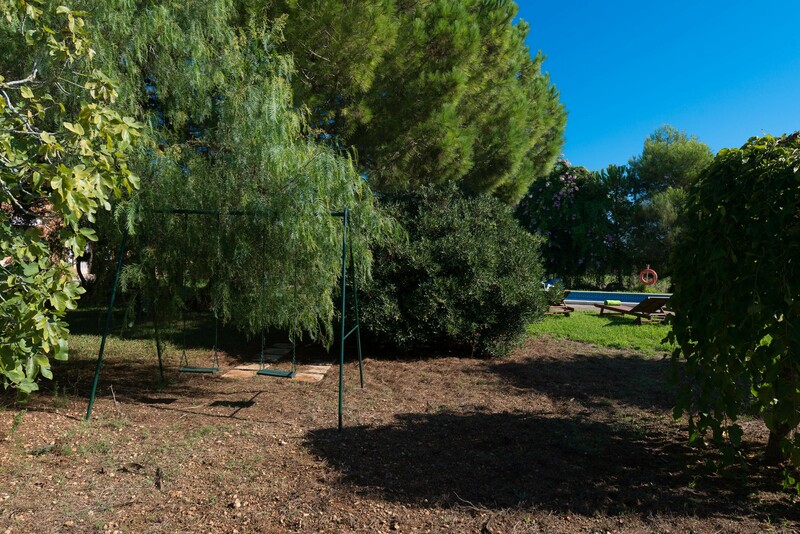 The beach of Es Trenc, known for being a protected natural area, is about 26 km. 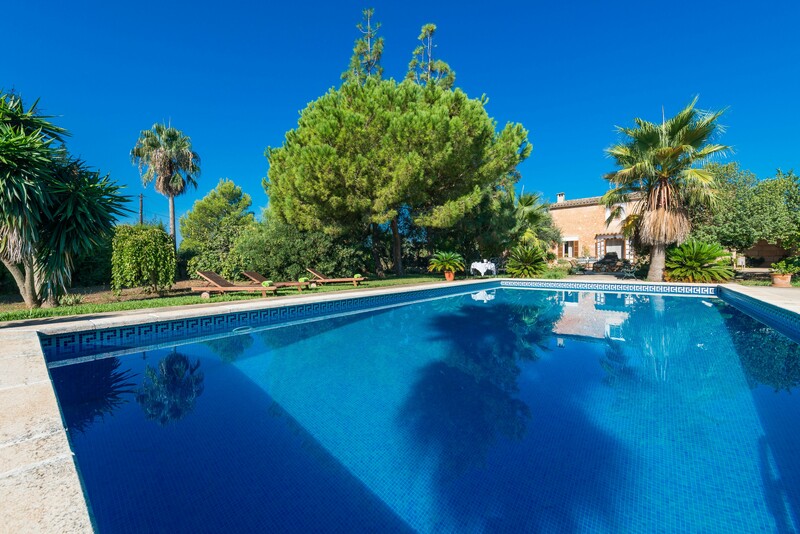 Other beaches that are worth visiting are Cala Anguila, Porto Colom or Porto Cristo, among many others.